If you like Late Antique art, free entry to Santa Costanza in Rome will get you early mosaics plus a mausoleum. Free entry to Santa Maria Maggiore gets you Late Antique mosaics plus some bonus Classical pillars (so do San Lorenzo fuori le Mura and a host of other Roman churches). Free entry to Sant’Ambrogio in Milan gets you a very fine Late Antique sarcophagus (the Late Antique mosaics in the treasury are worth 2 euros, though). Rome, in fact, has quite a lot of Late Antique art in its churches — chiefly mosaics. Even in San Pietro in Vincoli, where the Late Antique decoration was largely redone by Michelangelo in the Renaissance, there is a seventh-century mosaic of St Sebastian. 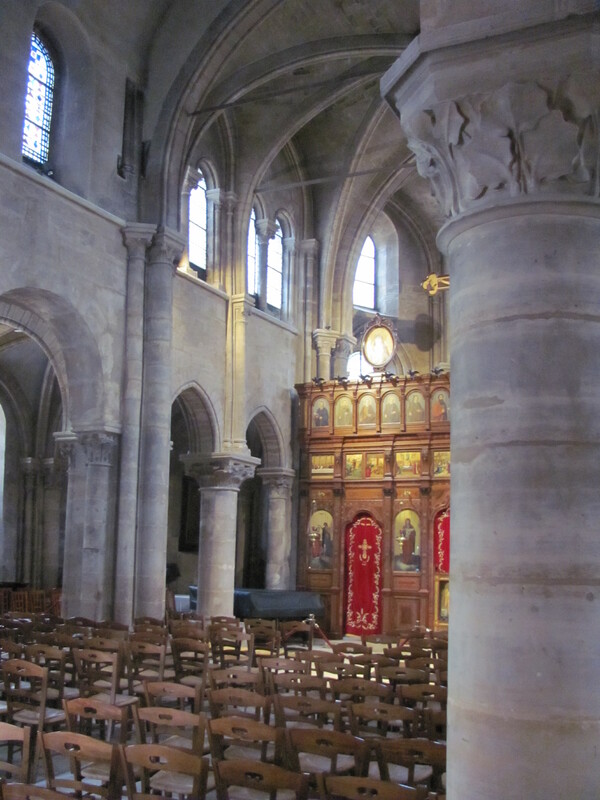 Another free but highly restored Romanesque church worth visiting is St-Germain-des-Prés, in Paris. The Renaissance in Florence? Largely free. Michelangelo’s Pieta in San Pietro, Rome? Free. Caravaggio in Santa Maria del Popolo, Rome? Free. Saint Teresa in Ecstasy at Santa Maria della Vittoria, Rome? Free. The whole history of Western art from Late Antiquity onwards. All you have to do is turn up at a church. 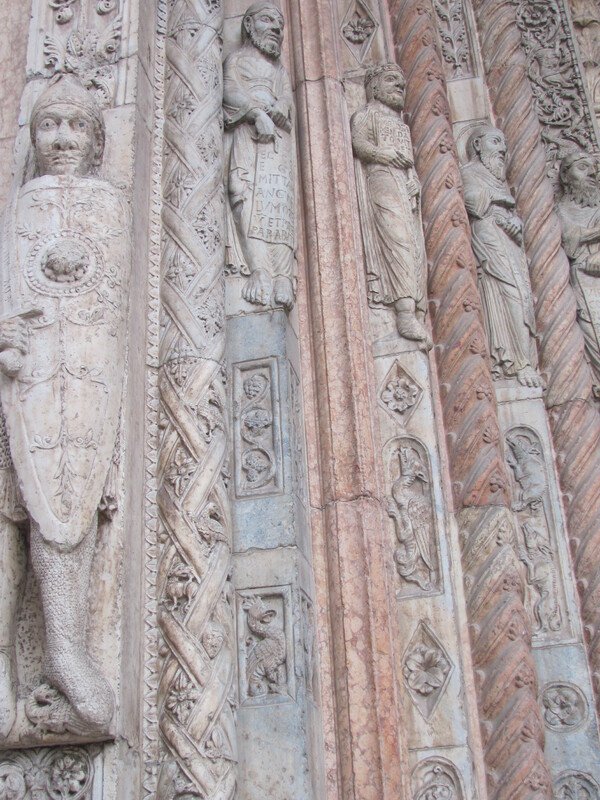 This entry was posted in Art, Christianity, History, Mediaeval, My Travels and tagged art, art history, churches, historic churches, munich cathedral, roman catholicism, sankt paul im lavanttal, st julien le pauvre, verona cathedral on November 9, 2015 by MJH. The delight I recounted for you in my post about the Louvre was continued at the British Museum last Thursday. There I was able to stand eye-to-eye with none other than Ashurnasirpal himself. And here you were expecting, say, the Goddess Athena or Keats’ ‘heifer lowing at the skies’ on the Parthenon frieze. I can assure you that the Parthenon sculptures — frieze, metopes, pedimental sculptures — engrossed me for the better part of an hour. The vitality of the charioteers! Magnificent, beautiful, the sculptures produced under the eye of Pheidias through the grand scheme of Pericles are not to be missed! Ashurnasirpal II was King of Assyria 883-859 BC. Like many memorable monarchs,** Ashurnasirpal was a warmonger. He extended the western boundaries of his Tigris-crossing Empire into Syria-Lebanon to the Mediterranean and into the Hittite lands of Asia Minor. Besides these, you can see various friezes from Nimrud in the British Museum, of Ashurnasirpal doing such things as lion-hunting or waging war. You can even see his naked soldiery swimming a river with inflated skins! Except for one guy — he must be on the Assyrian Olympic team. These sculptures and friezes are very well executed. They lack the sinuous vitality of classical Greek art, but I don’t doubt that the skills of the sculptors were lacking. One of the things about ancient Near Eastern and Egyptian art that I learned in my visit to Cairo back in the day is the essentially traditionalist aspect of style. Assyrians and Egyptians (Akhenaten aside) are not trying to produce portraiture as the Graeco-Roman tradition would understand it. They are not capturing the vital essence of a moment. They are placing Ashurnasirpal II within a long tradition of art, showing him to be a timeless, great king. The message is one of legitimacy and stability: He is like his father, Tukulti-Ninurta; Sargon II, whose lamassu’s are in the Louvre and look identical to Ashurnasirpal’s, is saying the same thing. The other thing to bring to the forefront of your mind when you look at ancient Mesopotamian things is the sheer ancientness of them. The naked-swimmer frieze dates to c. 860 BC — 100 years before the traditional founding of Rome, 400 years before the Parthenon friezes! And if you think that’s old, the Code of Hammurabi in the Louvre dates to the 1700s BC!! The Ashmolean Museum’s fragment of the Babylonian epic poem Gilgamesh dates to 1900-1600 BC — a millennium before Homer! The cultures of the Near East are truly ancient. They were using clay for a writing material when the Greeks were using it for huts. They have a literary and political culture all their own, a war-machine all their own, art and religion all their own. Yet, even to many students of ancient history such as myself, they stand largely unknown, getting maybe a chapter about Ziggurats in a Grade 11 history textbook. We can all rectify this. Check out the Mesopotamian collections on your next trip to a major archaeological museum, be it the Ashmolean, the British Museum, the Louvre, the National Museum of Scotland or the Royal Ontario Museum, take in the Mesopotamian artefacts. If you like mythology, read some Mesopotamian mythology. If epic is your thing, check out Gilgamesh. Grab a book on Sumeria or Babylon or Assyria or ancient Persia the next time you’re in the library. Educate yourself — even if it’s just one attentive museum visit or one book; it’s better than nothing. It may not be safe to visit the Near East itself, but we can still take a healthy interest in its culture. Who knows, maybe a fresh interest in such things will help save those lands from ruin? *It’s a sin with centaurs do it, but when Romulus does it, it’s prudence … ? **Remember Alexander the Great, Justinian, Charlemagne, William the Conqueror, Richard the Lionheart, et al? Yep. This entry was posted in Ancient World, Art, Classics, History, Literature and tagged art, ashurnasirpal, assyria, british museum, friezes, gilgamesh, hammurabi, mesopotamia, parthenon, sargon on September 20, 2012 by MJH. 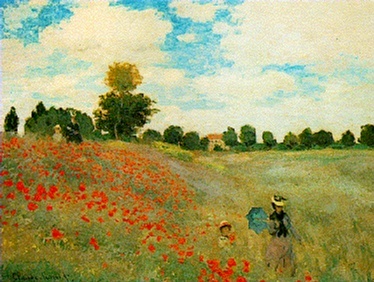 When I was a teenager, somehow or other I ended up quite smitten by Monet. I liked Impressionism in general, but Monet in particular. 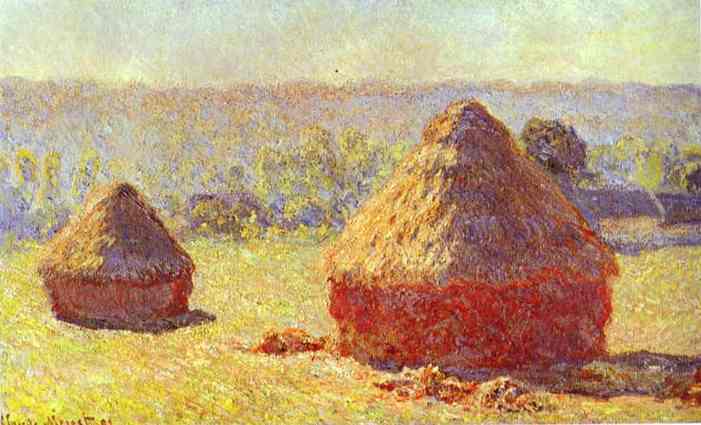 I read at least one book about Monet at some point, and mentioned him to my parents, with that teenage zeal that is able to remember all sorts of little details I tend to forget these days. Accordingly, I purchased a lovely book from the bargain books at Coles celebrating Impressionism, and one year in high school I purchased a Monet day planner, complete with those purplish-hued waterlilies (Les Nymphéas) on the cover. My parents gave me a calendar, a book about Monet, an address book with a Monet on the cover. I liked Monet. He captured the essence of a moment, a colour, a memory — a building in the mist, a river at sunset, a walk in a field, a haystack. I think I am living something close to my teenage dream-life. Today, I went to the Musée de l’Orangerie. The ground floor of this museum is devoted to one artist and two sets of works. 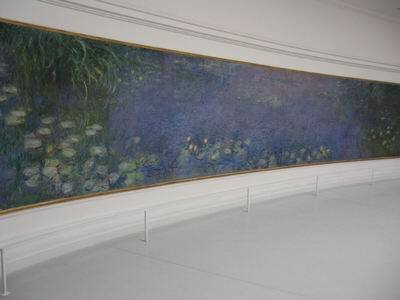 Monet’s Nymphéas — his waterlilies. In the last thirty-something years of his life, lived out at the idyllic country residence of Giverny, Monet painted over 300 tableaux of waterlilies. Yesterday, I saw a very large, almost square, instance of one of these at the Musée d’Orsay — the thing was much taller than I, and captured the beauty of a moment in large grandeur on a scale that the cover of my high-school day planner could never reproduce. I think it’s the image posted above. The Nymphéas at the Orangerie are of an entirely different order from most other Monets — most other paintings, even, certain than the many wonderful tableaux on display at d’Orsay. First, you have an oval room with a skylight. It has four entrances/exits. And on the four walls in between are four very long tableaux that cover almost the whole wall — painted on huge canvases, so large that you can sometimes see where they have been stitched together to construct this immersion into Monet. The first room, at the West, is near sunset. The second, the East, near sunrise. At least I think that’s what I read. I did a circuit of the first room, taking in each portrait long and slow. I sat on the bench four times, once for each enormous painting. I moved on to the second room and did likewise. I slowly walked out of the Nymphéas gallery, soaking in the impressions before me all the while. I was there in the same room as Monet’s waterlilies. They were huge, drawing me in to their world. Unlike many ‘landscape’ paintings, there is no horizon in the Orangerie. The Nymphéas draw you into a world where you are seeing the images of real life, where you are yourself surveying the pond at Giverny, beholding the lilies, the willows, the colour, the light. And as the sun shifts and changes above you, so does the room. When I first entered the second room, I thought, ‘These images are significantly darker than the first.’ While I was there the light shifted. I still think they are a bit darker, but not so much as I had first thought. Just like in nature, in the outdoors, in ‘real’ life, the art was transformed before my eyes. The sun himself changed my experience of the art. And I was drawn into this attempt to capture a moment on a canvas. For that is what Impressionism is — the impressions of light, the capture of a fleeting moment, gone from the world, dancing a little in your memory as you move on to other things. The sun casts its rays upon the world around you, the colours are reflected into your eyes, imprinted upon your memory. It is fleeting but beautiful, this world of ours. This fleeting beauty — this is what Monet, Sisley, Degas, Manet, Renoir, were seeking to capture in their grands tableaux. And so I allowed myself to be drawn into the richness of Monet’s impression of his pond at Giverny. Absorbed, sucked in, surrounded by this art, I gawked. I stared. I wondered. I am living my teenage dream life. I am seeing art I loved back then for real — and lots of it, for I visited Musée d’Orsay yesterday, itself with a large Impressioniste wing, and the Petit Palais the day before! Plus I get to spend a lot of time with mediaeval things. Primarily churches here in Paris, but when I go home there is a castle on a rocky mound. I get to read books for a living. And I write stuff. This entry was posted in Art, My Travels and tagged art, giverny, impressionism, impressionists, monet, musee d'orsay, nympheas, orangerie, waterlilies on August 25, 2012 by MJH. When the great minds of the so-called ‘Renaissance’ wanted to denigrate the art, architecture, and bookhands of the previous generation(s), they chose the word ‘Gothic’, as opposed to their re-birth of alleged Graeco-Roman ‘humanism’ in architecture, handwriting, and the visual arts. In what follows, do take a look at the hyperlinks, for they take you to images on my Flickr photostream; the Notre Dame photos are not up yet, though! I am having trouble with file sizes and WordPress, soo…. I have recently visited two Gothic masterpieces here in Paris, Basilique St. Denis and Cathedrale Notre-Dame de Paris (the world-famous cathedral). Neither is worth denigrating (nor is the mindblowing Duomo of Milan). The Basilique St Denis is north of the centre of Paris, in one of the <em>banlieux</em> where you feel like you’re in a mélange of French North Africa and French Subsahara with European architecture everywhere. In the Middle Ages, this was not Paris. The community would have arisen up here around the basilica and monastery. St. Denis was, as tradition has it, founded by St. Denis, third-century bishop of Lutetia (Paris) who was beheaded on Monmartre (Mons Martyrorum) with two companions. Having been beheaded, he picked up his head and walked with it to where he wished himself to be buried. That was up in St. Denis. So they buried him in what would become his basilica’s crypt. True story, if Hincmar of Reims (806-882) has anything to say about it. St. Denis was conflated with another person of the same name, (Pseudo)Dionysius the Areopagite, writer of early sixth-century pseudepigrapha of a very mystical nature worth a read or two. It’s about reaching the uncreated Light and all that jazz. So in the 12th century, Abbot Suger of the monastery at St. Denis decided to make a cathedral of light in honour of St. Denis, theologian of the light of God. He (re? 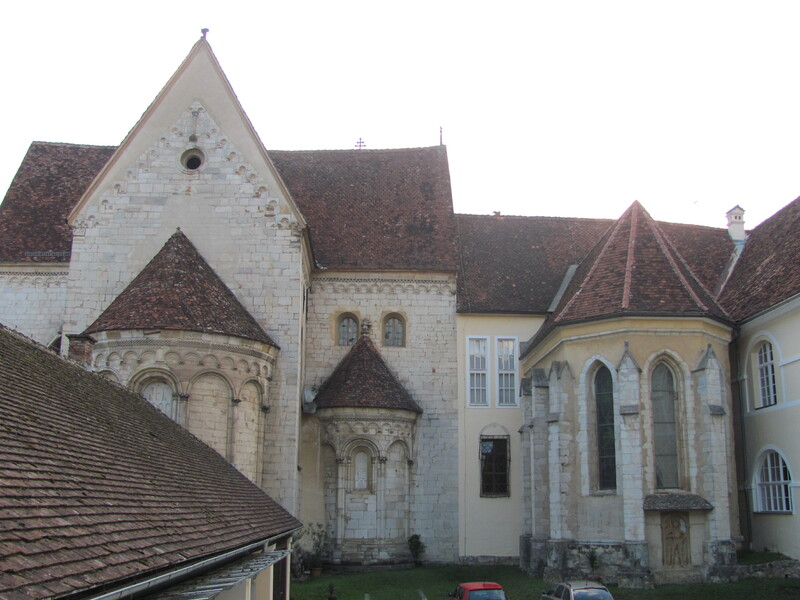 )built the chevet, the entry point of the church before you reach the narthex as well as a double ambulatory. An ambulatory is a place for walking behind the apse of a church (an apse is the round bit that sticks out like a bump at the back, where the high altar is in traditionally-arranged churches), and a double ambulatory has an extra arcade full of altars for the celebration of private masses. This space is full of light, because a pointed Gothic arch can span a very wide distance, leaving room for naught but coloured glass. Later, Suger’s successors rebuilt the Carolingian and Romanesque portions in the mid-twelfth century. This includes the high and lofty nave that reaches in a light, airy manner into the reaches of the heavens above, as well as the addition of transepts. If you imagine a mediaeval cathedral as a cross, transepts are the arms of the cross. Using the weightlessness of Gothic architecture, the transepts include very beautiful rose windows. St. Denis basically blew my mind, architecturally. It is light and airy and is ribbed with magnificence. The nave was full, so I am unable to compare the height and grandeur of Notre Dame with the height and grandeur of St Denis. 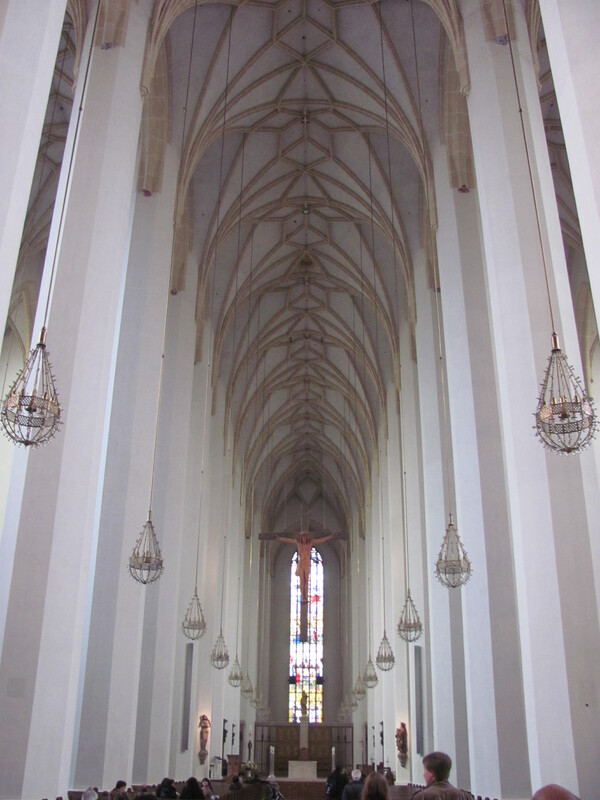 But here as well we have the high, fluted columns stretching to pointed arches and walls made of stained glass. We have rose windows. And we have the chapels of a double ambulatory. These chapels at Notre Dame are interesting. I do not know whether the painting is original, but I do not doubt that they represent an image of how such places were intended to look — full of colour and vibrance, dazzling the eye with the wonder of God’s good creation. When I visit these large, airy Gothic places, I cannot side with anyone who would think poorly of them. They are magnificent, whether Notre Dame, St Denis, York Minster, Rosslyn Chapel, the Milanese Duomo! This entry was posted in Art, Christianity, History, Mediaeval, My Travels and tagged architecture, art, basilique st denis, flickr, gothic, gothic architecture, notre dame de paris, st denis on August 16, 2012 by MJH.